In America I have been amused by the way skin tones are described using sweetness. We cave Caramel, Milk Chocolate, Dark Chocolate , Cocoa, Cappucino, Nut Brown , Vanilla and more. Please enlighten me on some more if you may. 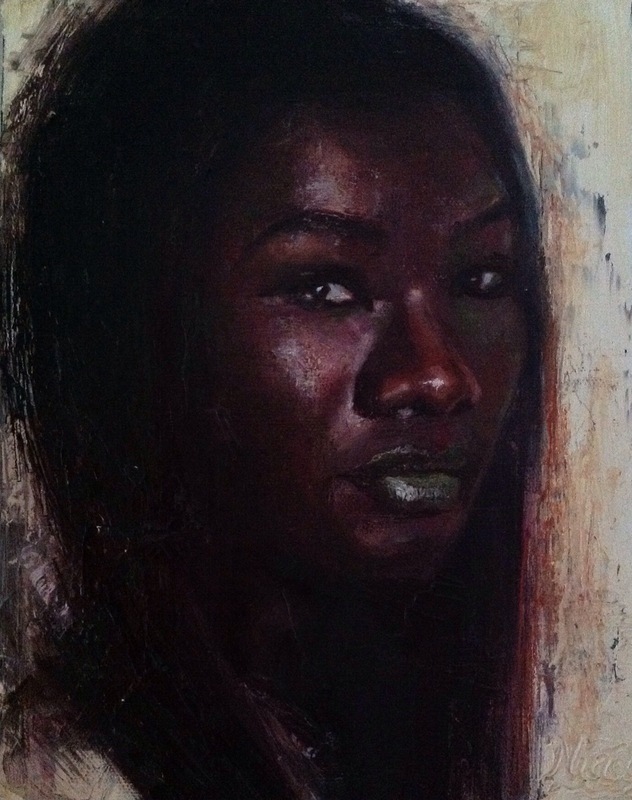 I painted this piece in recognition of the beauty of her dark skin. How it glows and accentuates her facial features. I like that she can wear a green lipstick, which may be quiet unusual but it works. Her straight hair hangs down, defining her cheek bones. She looks at you, interacting with her onlooker.